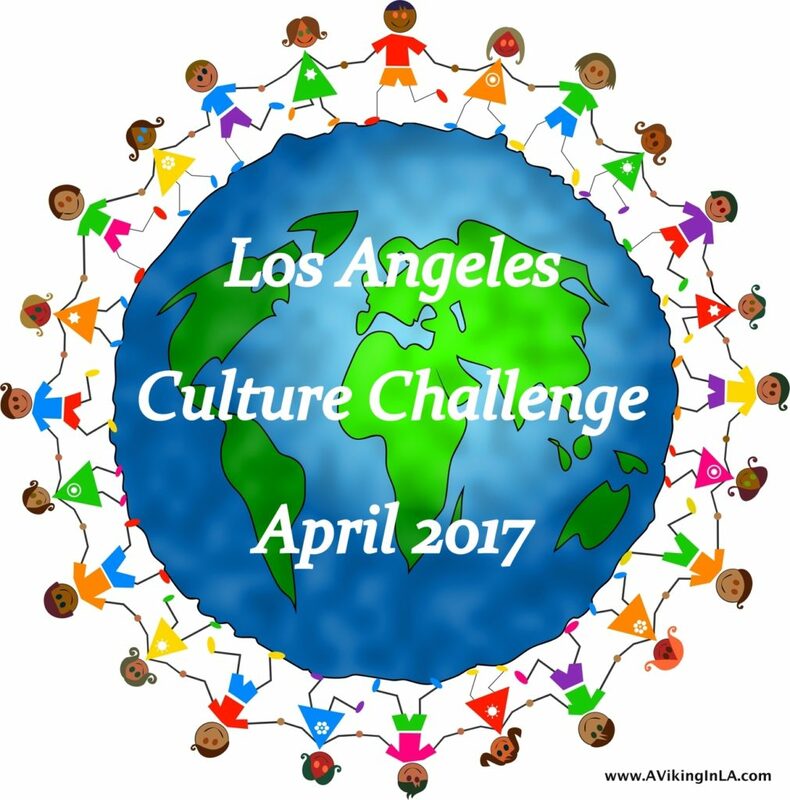 April 2017: Los Angeles Culture Challenge – Scandinavian Festival & Festival of Books! April offers an abundance of special events and activities about a great variety of countries and cultures to occupy your weekends. Browse through the list below to see if anything catches your eye. Two of my favorite events return this month, Scandinavian Festival at California Lutheran University and LA Times Festival of Books at USC, and I’m relieved they don’t fall on the same weekend which has happened in the past. The Scandinavian Festival took a hiatus last year but returns the first weekend in April. You can read more about what to expect at the festival here. The Festival of Books is not just about books and authors, which is fun in and of itself, but it’s also music, food, art, and culture. How will you explore the diverse richness of Los Angeles this month? 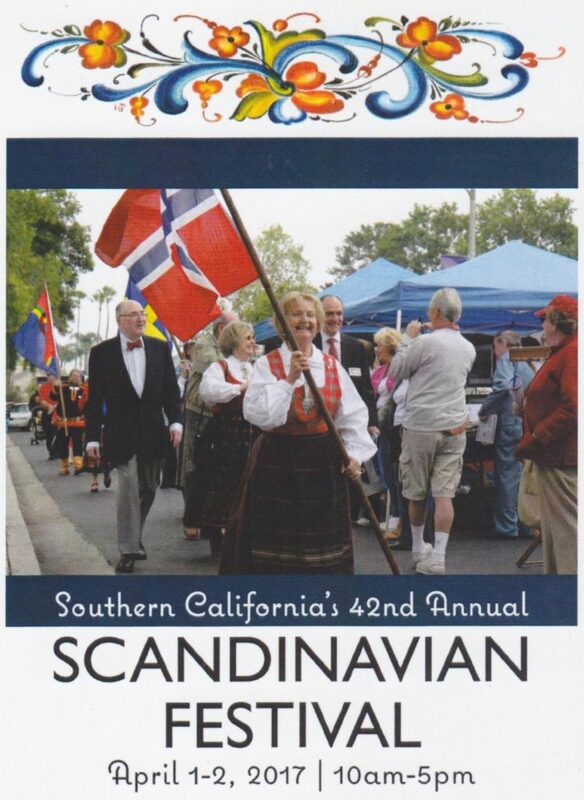 Scandinavian Festival, California Lutheran University, Thousand Oaks, Saturday, 4/1, & Sunday, 4/2. The Scandinavian Festival returns for the 42nd year. Both days of the festival are filled with music, dancing, food, lectures, demonstrations, vendors, and activities for young and old alike. The Viking Encampment and Sami Village will once again be present. Family activities include making head wreaths with real flowers, raising the Maypole and dancing around it, learning the ancient Viking game Kubb, playing croquet, and a variety of arts and crafts representative of the Nordic countries. 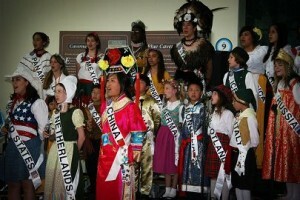 International Children’s Day Festival , Aquarium of the Pacific, Long Beach, Saturday, 4/1, & Sunday, 4/2. Celebrating the amazing talents of children of all cultures, this festival features West African, Mexican, Pacific Islander, Cambodian, Chinese, Korean, Japanese, and Persian dance performances. Enjoy performances by a children’s choir and martial arts demonstrations. Kids of all ages can partake in an international percussion circle, face painting, and Native American and Pacific Islander traditional children’s crafts and games. The Undiscovered Chinatown Tour , Chinatown, Downtown LA, Saturday, 4/1, 10:30 a.m. – 1:00 p.m. Visit a temple, an herbal shop, art galleries, antique stores, and more! The 2 1/2 hour walking tour will take visitors to a number of off-the-beaten-track points of interest and will guide those interested in shopping to some of Chinatown’s best bargains and its trendiest shops. Wear comfortable walking shoes and be prepared to wind your way through a myriad of alleyways, plaza stalls, and classical courtyards to discover the charm of L.A’s Chinatown. You must RSVP as group size is limited. This tour is offered every first Saturday of the month. Reykjavík Festival: Maximus Musicus (Toyota Symphonies for Youth), Walt Disney Concert Hall, Downtown LA, Saturday, 4/1, & Saturday, 4/8, 11:00 a.m. Join Maximus Musicus, a lively Icelandic mouse, on a journey from the sunny shores of Southern California to Reykjavík, where you will explore the music and the great outdoors of Iceland. The concert is preceded by a choice of workshops designed for children ages 5 to 11. These include art-making, a music workshop, an instrument petting zoo, and a dance or theater/storytelling workshop. All activities are free to ticket holders. The Reykjavík Festival is ongoing until June 4 and includes a variety of events. See website for more information and to purchase tickets. Russia: Lacquerware Mobiles (Family Art Workshop), Junior Arts Center at Barnsdall Art Park, Hollywood/Los Feliz, Sunday, 4/2, 10:00 a.m. – 12:00 p.m. Come for a free family art workshop in a real art studio. All materials are provided. Each Sunday a different culture and media are featured. 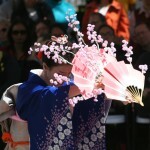 Japanese Cherry Blossom Festival , Bowers Museum, Santa Ana, Sunday, 4/2, 11:00 a.m. – 3:30 p.m. Join Bowers Museum in celebrating the Japanese Cherry Blossom Festival. All family festivals include art-making activities and cultural traditions along with live music and dancing. Ukrainian Pysanka Festival, Ukrainian Culture Center, Los Angeles, Sunday, 4/2, 12:00 p.m. – 5:00 p.m. Learn to make traditional Ukrainian Easter eggs. Experience Ukrainian culture by viewing the work of many esteemed artists. Enjoy dance performances, music, and food. Bright Design: Awazu Kiyoshi (Andell Family Sundays), LACMA, Los Angeles, Sunday, 4/2, 12:30 p.m. – 3:30 p.m. Japanese graphic designer Awazu Kiyoshi had a signature style that wove together folklore and city life, all in bright colors. Check out posters and prints he designed to promote theater and film in the exhibition Awazu Kiyoshi, Graphic Design: Summoning the Outdated. Make your own posters and learn simple printmaking techniques in artist-led workshops. This event repeats every Sunday in April, except Easter Sunday. Renaissance Pleasure Faire , Santa Fe Dam Recreation Area, Irwindale, Saturdays & Sundays, April 8 – May 21. Travel back to the 16th century and experience the glory of life during the Renaissance era. The faire provides “a cornucopia of diversity where we are unified in inviting our guests to enjoy an environment we have created to escape from the stresses and demands of the modern day.” There will be artisans of all media, entertainment galore, food trucks and booths, games and rides (including pony and camel rides), a Kids Kingdom (with games, crafts, story-telling, song, shows, and characters), and a gnome quest! 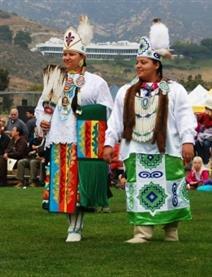 19th Annual Chumash Day Powwow and Inter-Tribal Celebration, Malibu Bluffs Park, Malibu, Saturday, 4/8, & Sunday, 4/9. This year’s 19th annual Chumash Day Powwow will celebrate Native Americans from all over the country. Hundreds of tribes will gather at Malibu Bluffs Park. Native American food, craft vendors, tribal ceremonies, and dances will be a part of the event on both days. Grand Entry will take place 1pm at Saturday and 12pm on Sunday. Celebrate Japanese American History (JANM Free Family Day), Japanese American National Museum, Little Tokyo, Downtown LA, Saturday, 4/8, 11:00 a.m. – 4:00 p.m. Learn about Japanese American history and actor/activist George Takei with crafts and activities inspired by the exhibitions Instructions to All Persons: Reflections on Executive Order 9066 and New Frontiers: The Many Worlds of George Takei. At crafts stations, learn how to make koinobori (carp streamers), origami samurai hats, and origami bird pins (much like the ones that were made by incarcerated Japanese Americans during World War II). Learn about famous Japanese Americans by making comic books and paper puppets. Throughout the day, hear stories that share the Japanese American experience. There will also be a Spam Musubi Workshop where you can learn how to create this delicious and uniquely Japanese American treat. See website for complete schedule of activities. Reykjavík Festival: Maximus Musicus (Toyota Symphonies for Youth), Walt Disney Concert Hall, Downtown LA, Saturday, 4/8, 11:00 a.m. Join Maximus Musicus, a lively Icelandic mouse, on a journey from the sunny shores of Southern California to Reykjavík, where you will explore the music and the great outdoors of Iceland. The concert is preceded by a choice of workshops designed for children ages 5 to 11. These include art-making, a music workshop, an instrument petting zoo, and a dance or theater/storytelling workshop. All activities are free to ticket holders. The Reykjavík Festival is ongoing until June 4 and includes a variety of events. See website for more information and to purchase tickets. India: Mughal Painting of the Deities (Family Art Workshop), Junior Arts Center at Barnsdall Art Park, Hollywood/Los Feliz, Sunday, 4/9, 10:00 a.m. – 12:00 p.m. Come for a free family art workshop in a real art studio. All materials are provided. Each Sunday a different culture and media are featured. Bright Design: Awazu Kiyoshi (Andell Family Sundays), LACMA, Los Angeles, Sunday, 4/9, 12:30 p.m. – 3:30 p.m. Japanese graphic designer Awazu Kiyoshi had a signature style that wove together folklore and city life, all in bright colors. Check out posters and prints he designed to promote theater and film in the exhibition Awazu Kiyoshi, Graphic Design: Summoning the Outdated. Make your own posters and learn simple printmaking techniques in artist-led workshops. This event repeats every Sunday in April, except Easter Sunday. 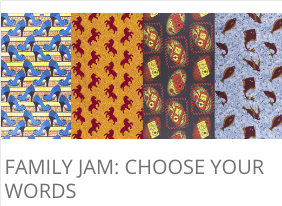 Family Jam: Choose Your Words , Fowler Museum at UCLA, Westwood, Sunday, 4/9, 2:00 p.m. – 4:00 p.m. Drop-in on #FamilyJam, an interactive performance featuring musicians, artists and other performers from all over the world. Families learn dance moves, songs, and stories from a variety of cultures. No reservation required, and it is free of charge. In this session, explore how a picture can inspire a thousand words. In collaboration with Westwind, UCLA’s student-run journal of the arts, learn about types of poetry and create your own using the stories, shapes, and patterns seen in the exhibit African-Print Fashion Now! as inspiration. 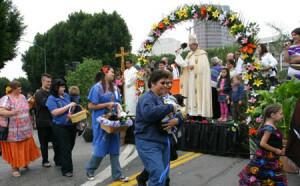 Blessing of the Animals , El Pueblo de Los Angeles Historic Monument, Downtown LA, Saturday, 4/15, 12:00 p.m. – 5:00 p.m. This tradition of blessing the animals for the benefits they provide mankind dates back to the 4th century, when San Antonio De Abad was named the patron saint of the animal kingdom and began to bless animals to promote good health. It has been celebrated in the Plaza since 1930. Bring your pets to be blessed. Blessing begins at 2pm and lasts for an hour. Line-up for the blessing begins at 1pm. There will be entertainment from 12pm to 5pm. Renaissance Pleasure Faire, Santa Fe Dam Recreation Area, Irwindale, Saturdays & Sundays, ongoing until May 21. Travel back to the 16th century and experience the glory of life during the Renaissance era. The faire provides “a cornucopia of diversity where we are unified in inviting our guests to enjoy an environment we have created to escape from the stresses and demands of the modern day.” There will be artisans of all media, entertainment galore, food trucks and booths, games and rides (including pony and camel rides), a Kids Kingdom (with games, crafts, story-telling, song, shows, and characters), and a gnome quest! 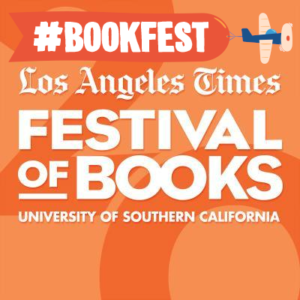 Los Angeles Times Festival of Books , USC Campus, Exposition Park, Saturday, 4/22, and Sunday, 4/23. Enjoy two days of not only books and authors, but also music, food, art, culture, and fun. The Festival of Books is Los Angeles Times’ annual celebration of ideas, creativity, and the written word. The Festival brings book lovers and fun seekers of all ages together with their favorite authors, artists, chefs, musicians, and entertainers. Go Metro and avoid the expense and hassle of finding parking. You’ll also save 10% on your total purchase of official 2017 Festival of Books merchandise, including mugs, T-shirts, and more. The Expo Line will drop you directly at the south end of the festival. The Program Guide with articles, a map, schedule, exhibitor list, and more will be available April 16. 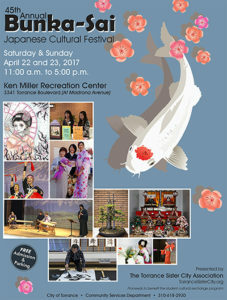 45th Annual Bunka-Sai Japanese Cultural Festival , Ken Miller Recreation Center, Torrance, Saturday, 4/22, & Sunday, 4/23. Come enjoy Japanese culture at the Bunka-Sai Festival sponsored by the Torrance Sister City Association. There will be an anime contest; Kamishibai storytelling; Aikido, Judo, Kendo, Naginata, and Karate; Koto, Taiko, Minyo, Shamisen, and Odori; Ikebana and Bonsai; Shodo calligraphy and tea ceremony; Origami, Roketsu, and Kimekomi Ningyo Dolls; arts and crafts boutiques, games for children, hourly drawings; and food. Guatemala: Recycled Animals of the Rainforest (Family Art Workshop), Junior Arts Center at Barnsdall Art Park, Hollywood/Los Feliz, Sunday, 4/23, 10:00 a.m. – 12:00 p.m. Come for a free family art workshop in a real art studio. All materials are provided. Each Sunday a different culture and media are featured. Bright Design: Awazu Kiyoshi (Andell Family Sundays), LACMA, Los Angeles, Sunday, 4/23, 12:30 p.m. – 3:30 p.m. Japanese graphic designer Awazu Kiyoshi had a signature style that wove together folklore and city life, all in bright colors. Check out posters and prints he designed to promote theater and film in the exhibition Awazu Kiyoshi, Graphic Design: Summoning the Outdated. Make your own posters and learn simple printmaking techniques in artist-led workshops. This event repeats every Sunday in April. 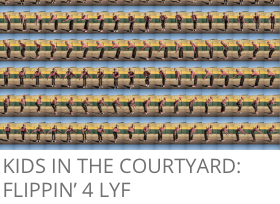 Kids in the Courtyard: Flippin’ 4 LYF , Fowler Museum at UCLA, Westwood, Sunday, 4/23, 1:00 p.m. – 4:00 p.m. Learn how to create a flipbook, or a non-digital “GIF”, that brings a scene or character to life by connecting one movement to the next through drawings. Don’t forget to check out the fantastic dance movements photographed in the exhibition Pantsula 4 LYF: Popular Dance and Fashion in Johannesburg, as well as a series of animated and non-animated family films in Lenart Auditorium presented by the Dance Camera West Film Festival. Los Angeles Asian Pacific Film Festival, select cinemas in the Los Angeles area, April 27 – May 4. Celebrating its 33rd edition in 2017, the festival will bring the best and brightest of new Asian Pacific American cinema to Los Angeles audiences. Check website for news and updates on the festival. REDCAT International Children’s Film Festival, Walt Disney Concert Hall Complex, Downtown LA, Saturday, April 29, to Sunday, May 7. The annual REDCAT International Children’s Film Festival returns with two full weekends of adventurous short-film programs to appeal to moviegoers of all ages. Magical, exhilarating works made by acclaimed filmmakers and up-and-coming auteurs showcase work from around the globe — including Mexico, Brazil, Sweden, Russia, Taiwan, Belarus, Korea, The Netherlands, and Ukraine — to inspire the whole family. Festival highlights include the latest in both live action and animated shorts. See website for the schedule for the two weekends. 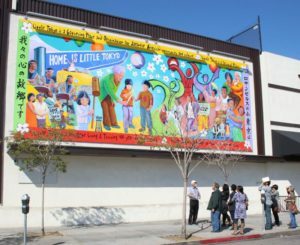 Little Tokyo Walking Tour , Japanese American National Museum, Downtown LA, Saturday, 4/29, 10:15 a.m. – 12:15 p.m. Relive history and learn about present-day Little Tokyo with JANM docents. Comfortable walking shoes are recommended. Weather permitting. Buy tickets in advance. Cost is $12 members, $15 non-members. Museum admission is included. Limited to 20 participants. Mexico & Dia de los Ninos: Votive Painting Using Tin and Cardboard (Family Art Workshop), Junior Arts Center at Barnsdall Art Park, Hollywood/Los Feliz, Sunday, 4/30, 10:00 a.m. – 12:00 p.m. Come for a free family art workshop in a real art studio. All materials are provided. Each Sunday a different culture and media are featured. Bright Design: Awazu Kiyoshi (Andell Family Sundays), LACMA, Los Angeles, Sunday, 4/30, 12:30 p.m. – 3:30 p.m. Japanese graphic designer Awazu Kiyoshi had a signature style that wove together folklore and city life, all in bright colors. Check out posters and prints he designed to promote theater and film in the exhibition Awazu Kiyoshi, Graphic Design: Summoning the Outdated. Make your own posters and learn simple printmaking techniques in artist-led workshops. Feel free to add events for this month in the comments below. I also welcome feedback on any events you have attended. If you have suggestions about future events and celebrations to include in upcoming months, please email me here with details. Thank you! Los Angeles Culture Challenge for April 2015 & Scandinavian Festival!